The 5th annual Windermere SUP Cup, raffle, and Montana style luau will be held on Sunday, July 16th to benefit the Missoula Food Bank – EmPower Pack Program and Watershed Education Network. 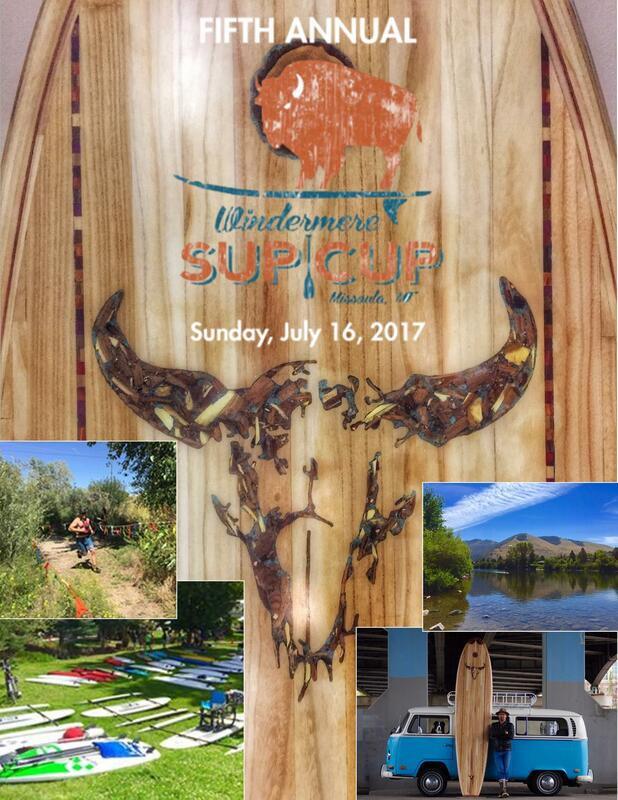 The Windermere SUP Cup is a stand up paddle (SUP) board race down the Clark Fork River followed by a Montana style luau at Bess Reed Park. Cheer on the racers as they reach the finish line and then continue the celebration by enjoying delicious food and beverages from Brooks and Browns. You have the opportunity to win this amazing SUP board, which was handcrafted by local craftsman Brent Ruby, and is truly a work of art (the pictures don’t do it justice)! Raffle tickets for this awesome SUP board are $10 each, 6 for $50, or 15 for $100. If you are interested in purchasing raffle tickets or becoming a sponsor you can stop by our office or give me a call at 406-544-8331. To register for the race or learn more about this awesome event visit www.supcupmt.com.